Cuomo: "Today, tomorrow and forever, we will remember the lives of those taken from us too soon, and we keep in our thoughts their loved ones who are feeling unimaginable pain." Albany, NY - November 1, 2017 - Governor Andrew M. Cuomo today directed that flags on all state government buildings be flown at half-staff on Thursday, November 2 to honor the eight lives lost following yesterday's terrorist attack in Lower Manhattan, New York City. "Today, tomorrow and forever, we will remember the lives of those taken from us too soon, and we keep in our thoughts their loved ones who are feeling unimaginable pain," Governor Cuomo said. "We know that our freedom and our democracy are targets of this hate and it is critical that we work as one in the face of this attack. There is no alternative, this is not a time to point fingers or blame - it's a time to come together and work for a common goal, to protect New York." Yesterday, Governor Cuomo directed state agencies, including the New York State Police, National Guard, the Division of Homeland Security and Emergency Services, the Metropolitan Transportation Authority, and the Port Authority of New York and New Jersey to increase security at high-profile locations around the state, including airports, bridges, tunnels, and mass transit systems. The Governor also directed One World Trade Center to be lit in red, white and blue in honor of freedom and democracy. 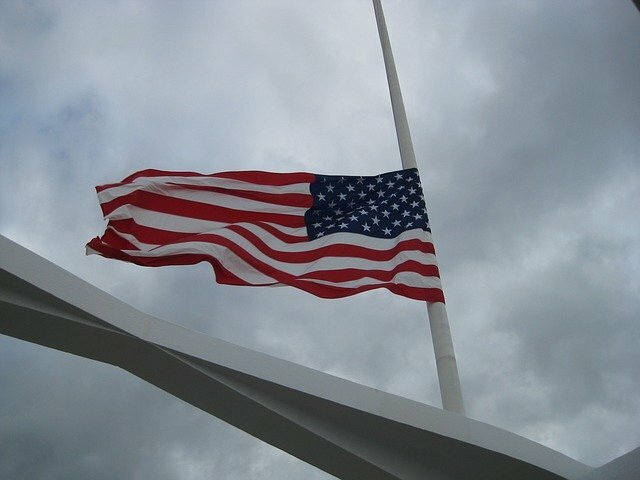 Subject: LongIsland.com - Your Name sent you Article details of "Governor Cuomo Directs Flags To Half-Staff In Honor Of The Victims Of The Terrorist Attack In Lower Manhattan"